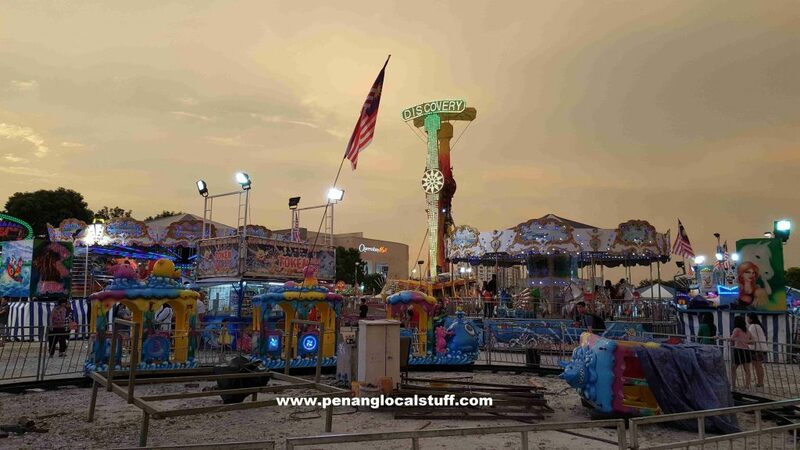 In Penang (and probably Malaysia), a fun fair is a makeshift amusement park where you can get on rides like the Ferris Wheel, bumper cars, pirate ship, small roller coaster, and enjoy other fun activities. 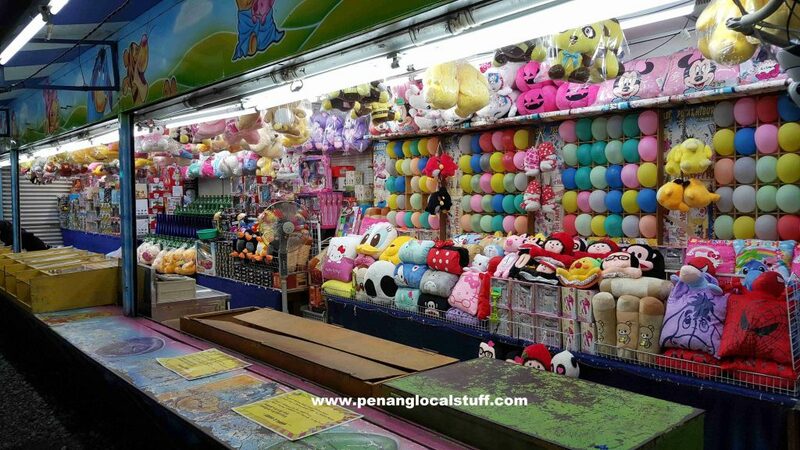 From time to time, there is a fun fair held beside Queensbay Mall. I have noticed this fun fair beside Queensbay Mall on many occasions, but have not visited it until a couple of days ago, on August 31st, 2017. Yes, it was Merdeka Day, and I celebrated it by bringing my daughter to the Queensbay Mall Fun Fair. It was her first time going to a fun fair, so she was very happy. 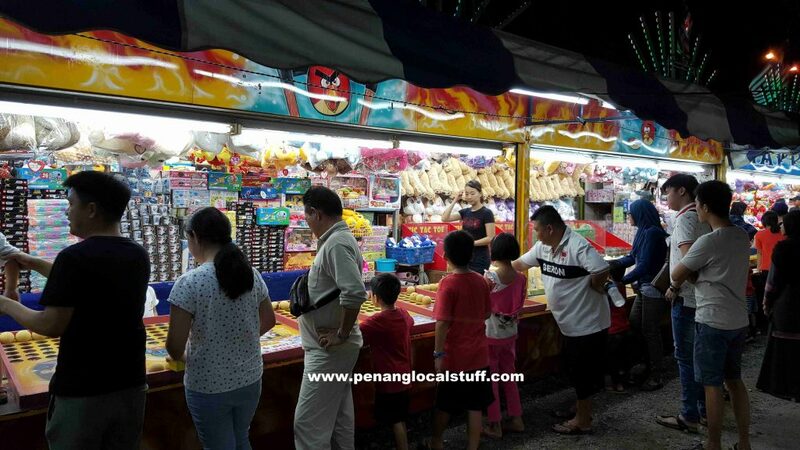 We reached the fun fair beside Queensbay Mall at around 7.30PM. 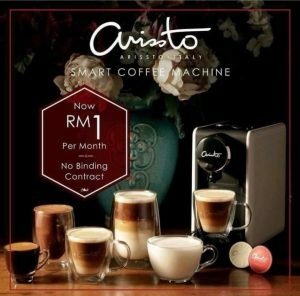 There is no entrance fee. People were just starting to come in, so it wasn’t very crowded (just nice). The fun fair has the usual rides like the Ferris Wheel, “Discovery” (a 360-degrees pendulum ride), bumper cars, pirate ship, small roller coaster, merry-go-round, and a few others. My daughter went on most of the rides. The one we enjoyed most was the small roller coaster ride; it moved faster than we thought it would. Apart from the rides, the Queensbay Mall Fun Fair also has a Ghost House and a Games Area where you can play and win prizes. There were quite a number of people playing the games. We left the fun fair at about 8.50PM. It was an enjoyable evening outing, and I only spent RM48 on the ride tokens (the tokens are RM2 each), which is quite cost effective. More importantly, my daughter was very happy as she got to visit a fun fair for the first time. 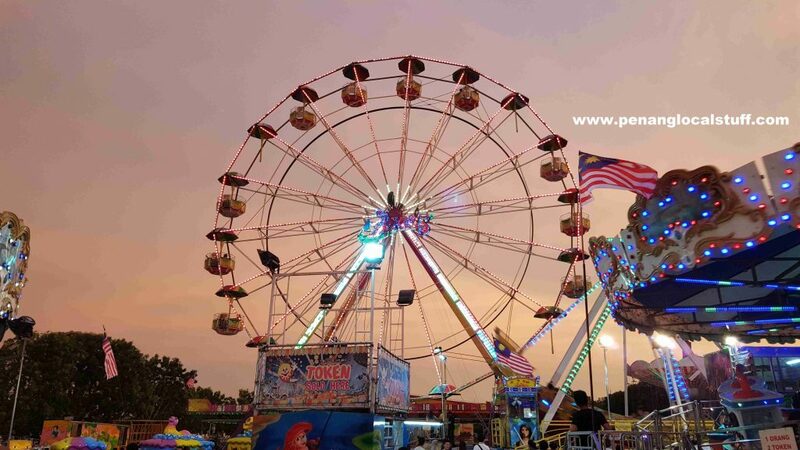 The Queensbay Mall Fun Fair is located roughly at GPS coordinates 5.329907, 100.307483.